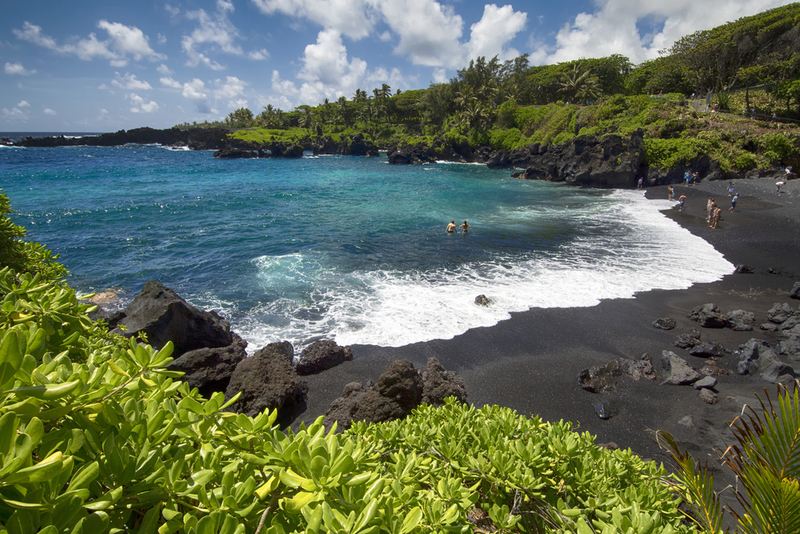 While a pebble beach might not make for the most comfortable lounging, Hawaii’s thrilling Black Sand Beach calls to the adventurous (and those looking to beautify their Instagrams). The black sand comes from lava fragments, created when lava collides with water and crumbles into black sand. But as visually stunning as the black sand is, it’s not the only thing that fascinates me about this beach. Waianapanapa also boasts freshwater caves, sea stacks, ancient templates and lava formations. It may be only June, but Waianapanapa sounds like the perfect place to take that family Christmas card photo. 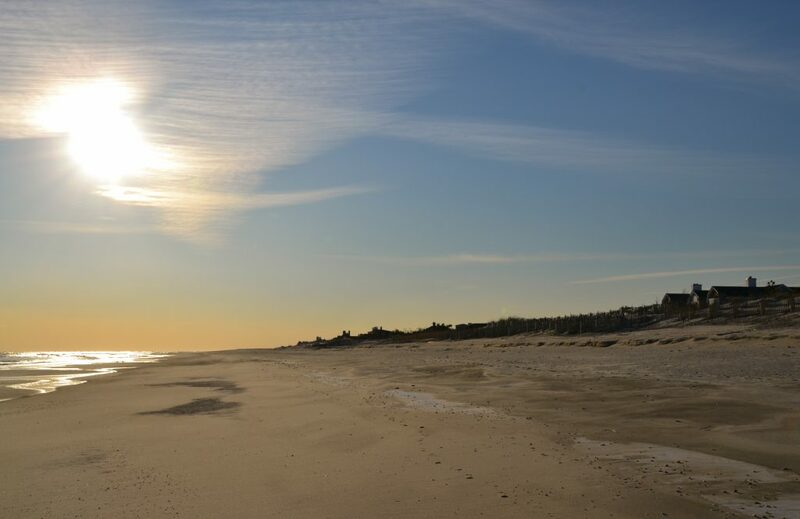 Part of the American National Park System, Assateague Island is a barrier between the Atlantic Ocean and Sinepuxent Bay. 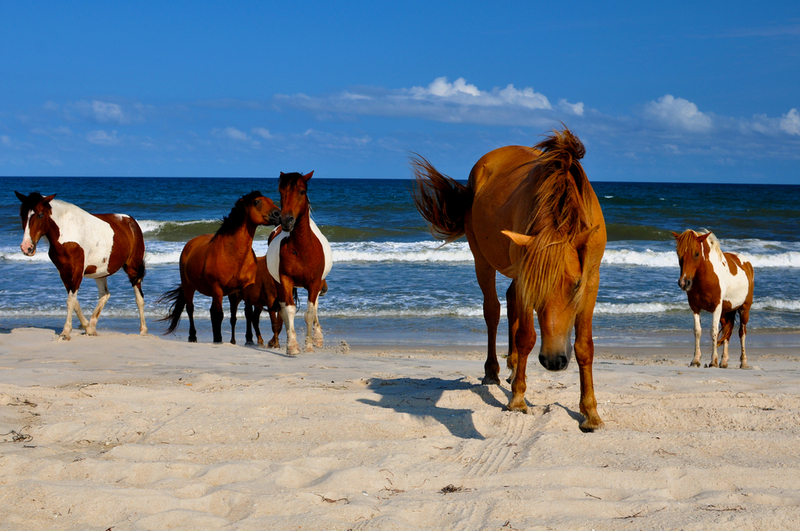 This 37-mile long island off the coast of Virginia and Maryland is known for its wild ponies and natural beauty. Ponies are thought to have swum ashore after a shipwreck more than 400 years ago. 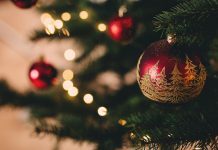 Assateague offers a variety of activities like walking the Wildlife Loop, cycling, photographing the lighthouse, walking on the beach and having your kids participate in National Park Service’s ranger program — which I’ll definitely encourage my son to do once he’s a little older. The Oregon Coast’s moody beaches are perfect for quiet walks, and Cannon Beach is one of my favorites. No sunshine is required for this sort of beach holiday. 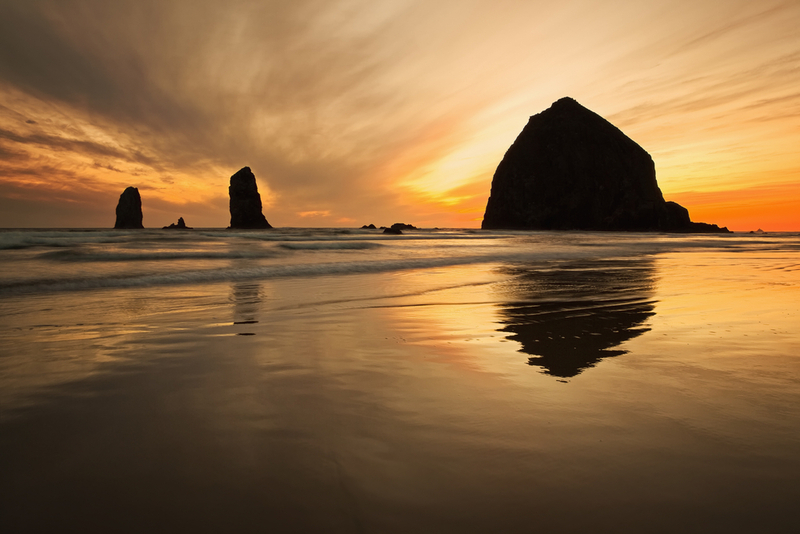 For days when I just want to walk, explore, and admire Haystack Rock and the Needles, atmospheric Cannon Beach is a dream. It makes a nice day trip from Portland and is also accessible from Seattle. I love this beach for any type of outing, whether it’s solo, with friends, or with family and kids. Speaking of the Pacific Northwest, Washington must be included when describing beautiful beaches. The Travel Channel named Shi Shi Beach the “best nature beach” for its unspoiled scenery. 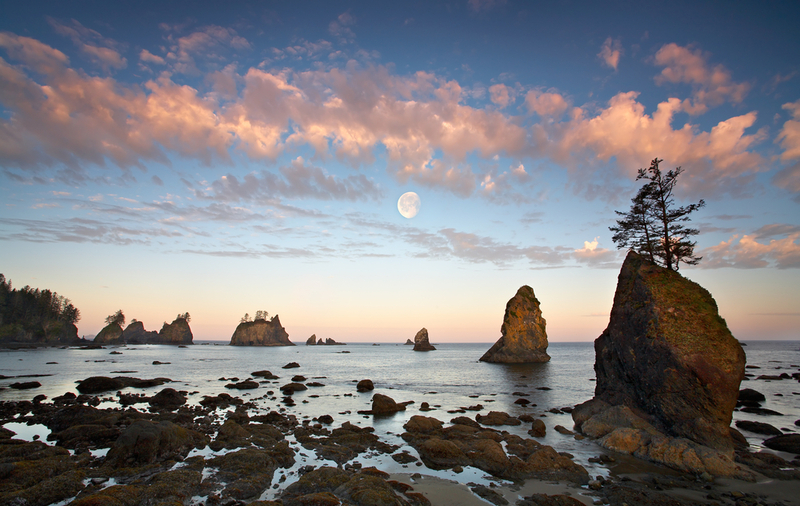 Part of Olympic National Park, the Shi Shi Beach Trail features arches, sea stacks tide pools, and caves. I’m looking forward to seeing the Point of Arches someday. With an eight-mile round trip hike, maybe I’ll purchase a new hiking carrier so that my son will be comfortable, while enjoying the stunning sights, too. The Florida panhandle is a stretch of dazzling white beaches that are less crowded and developed than their competition further south. 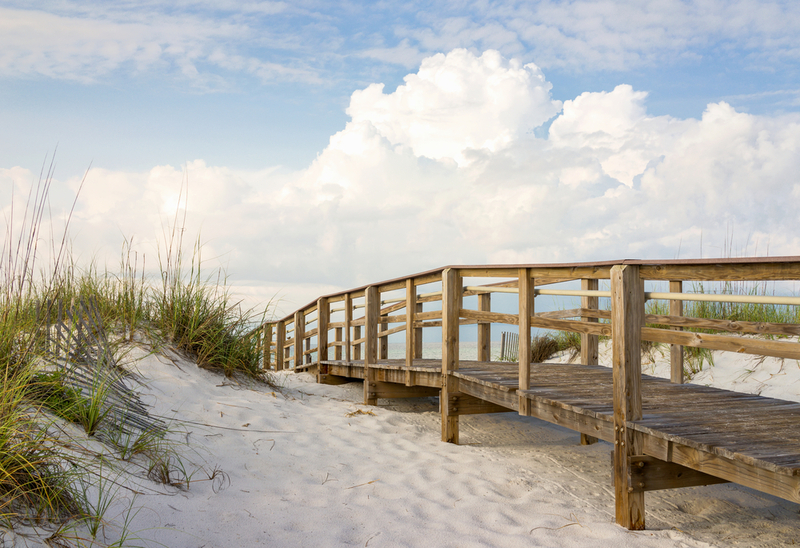 Not every beach is ideal when traveling with a toddler, but the popular Pensacola Beach is great for a lazy vacation. It’s less touristy than Destin and Panama City and features lovely blue-green waters. Pensacola is an ideal backdrop whether you’re sunbathing and reading a book, or playing with your kids. Located on the Kennebec River, Popham Beach State Park is a rare geological formation of 500 acres. Its long stretch of sandy beach attracts numerous surfers and swimmers. But if those activities aren’t your cup of tea, you can birdwatch, kayak, fish, and even walk to Fox Island at low tide. From the coast, Pond Island and Seguin Island lighthouses make beautiful photo opportunities. I can’t wait to make a scrapbook with all of my beach vacation photos so that we can treasure the memories as a family of three. 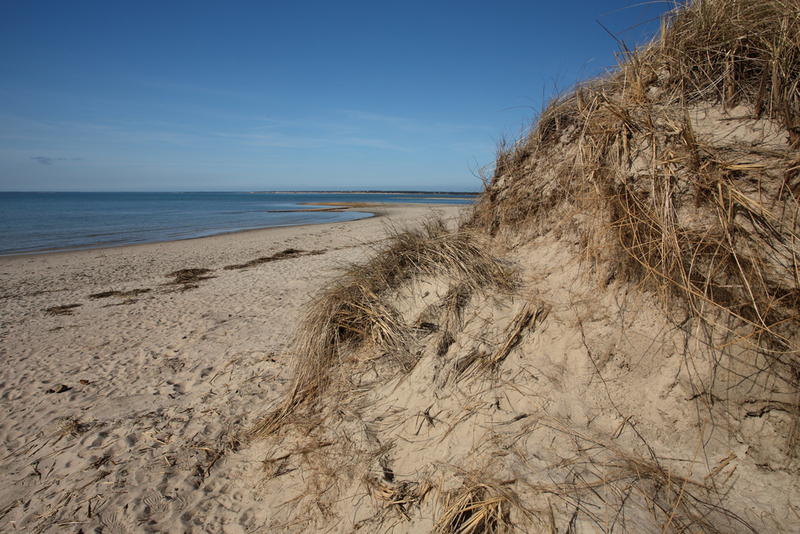 I wish we lived closer to Cape Cod, one of the prettiest beaches on the East Coast. If only every summer weekend could be spent beach-hopping in New England. Coast Guard Beach has incredibly soft sand, and I love how clean and accessible it is. In the summer, the water temperature tops out at around 70 degrees. Even though parking is a bit of a pain, this beach is worth the trip for the bike rides along the glacial cliffs and long beach strolls. Florida is known for its beaches, so I can’t just include one on this list. A barrier island between the Gulf of Mexico and Roberts Bay, the Siesta Keys are powdery white beaches with fresh cool breezes. I love taking sunset walks with my family — it feels like you can go on and on and on. You can even ride a bike on this beach. Once I lost my glasses here in the waves, so I’ll try my best not to repeat that! 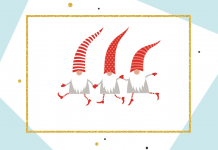 Hidden gems are my favorite—who doesn’t like to get off the beaten path? 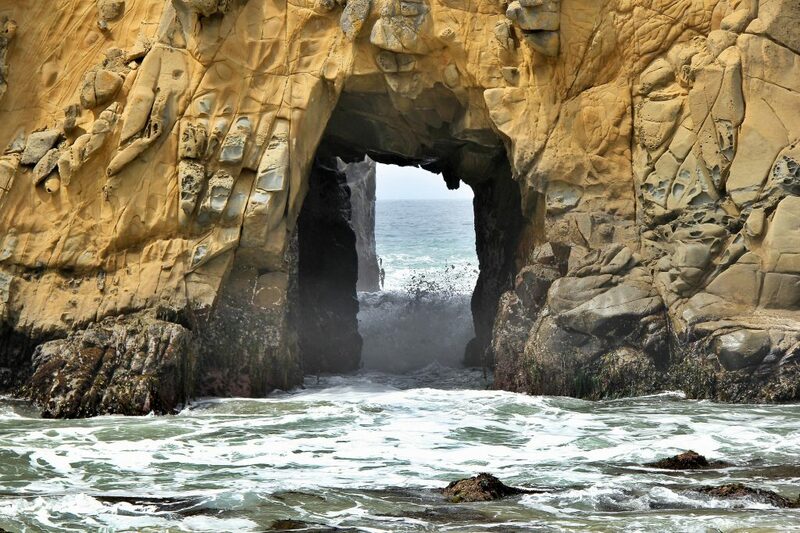 Big Sur has been on my travel wish-list for ages, and I’m intrigued by Pfeiffer beach and its purple sand. I’ve heard this beach isn’t very easy to find but it certainly looks worth the effort. Located on the rugged coastline is a secluded beach with purple sand and a keyhole rock that makes an amazing background for sunsets. I’ll have to keep in mind that this may not be the best beach for sunbathing and probably requires packing a jacket or two. 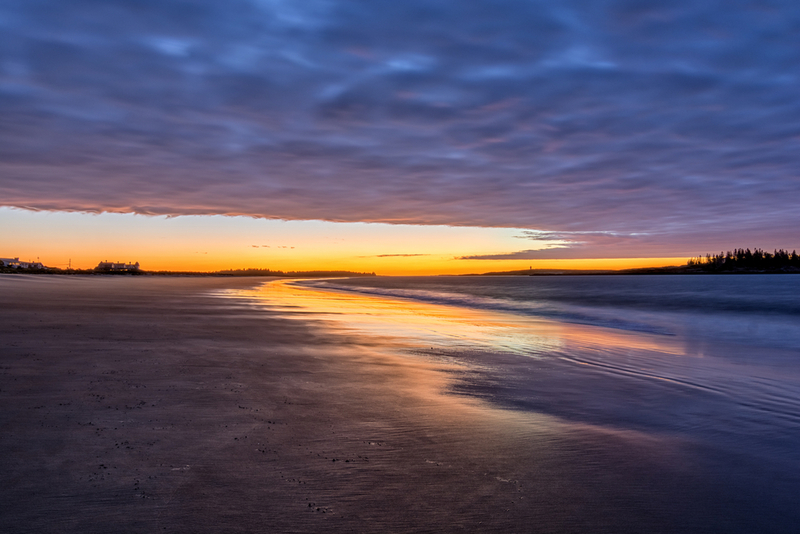 Located in east Long Island, Coopers Beach is one of the most popular beaches in New York. The sand is so soft and my husband and I enjoy going on long walks here. Large sand dunes sit on this white sand beach, and it’s not particularly crowded. It’s nice to have a beach option nearby with little pollution. What are your favorite beaches that you’ve visited? I’m always looking for new places to add to my travel bucket list.